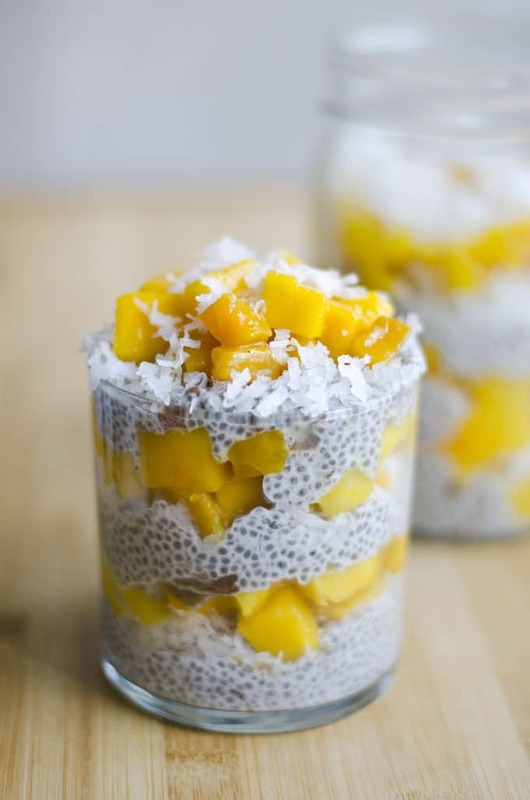 This Tropical Chia Parfait is a creamy coconut-based treat thickened with chia seeds and naturally sweetened with dates and fresh mango. We’re gonna kick off Mango Week right by eating our dessert first. Because shouldn’t dessert always come first? This recipe has been a discovery of epic proportions. EH-PIC. Because I learned so much about two very special ingredients (although neither of them are the ingredient of the week…sorry mangoes). 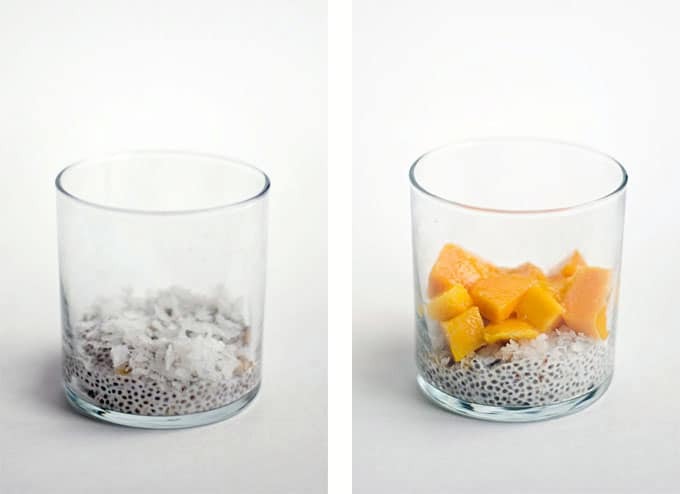 We’ll start with the true star of the show, chia seeds. If you’ll remember back to Valentine’s Day, I made Heart Healthy Chocolate Covered Strawberries, the heart healthy part being the chia seeds sprinkles on top. 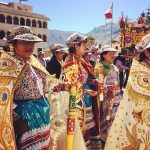 Well as it turns out, chia seeds want so much more than to merely be someone’s sprinkle. They want to be the all-powerful, liquid-absorbing, shape-changing, consistency-thickening protagonist to your custard-like desserts! How do they do it? 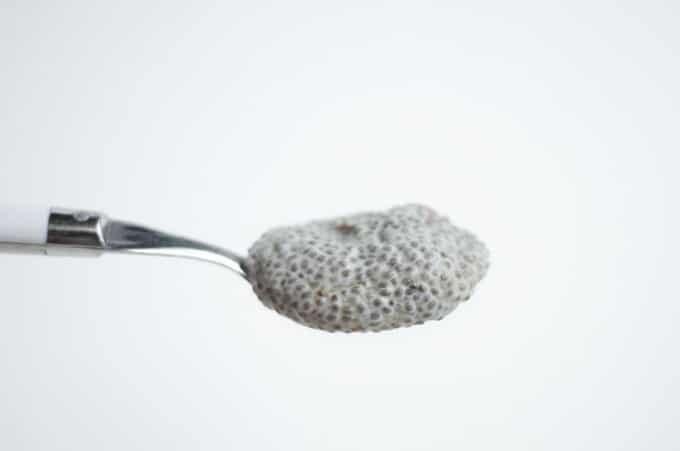 Well the fibers in chia seeds allow them to absorb nine times their weight in water. They develop a gel-like bubble around the outer shell when exposed to water. 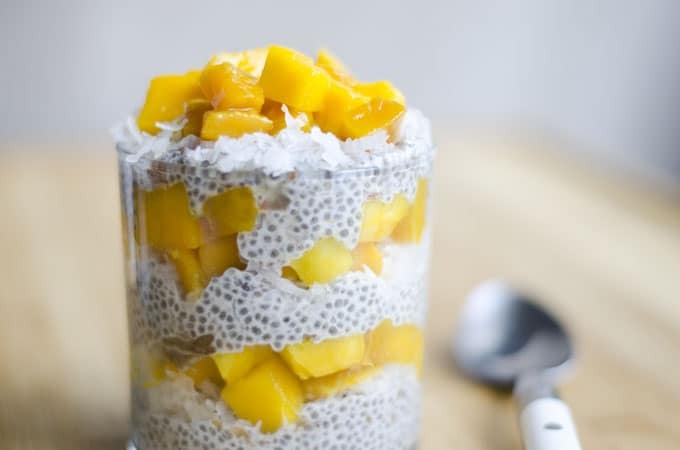 So in the case of this recipe, the moisture from the coconut milk is being absorbed and turned into a gelatinous coating around the chia seed, thickening it into a parfait without the use of gelatin. Bonus: Chia seeds are little health bombs. They have soluble fiber, which is a great prebiotic (meaning it encourages the microbiota in your gut to grow and flourish). 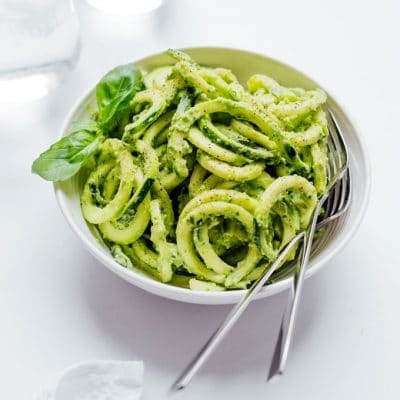 The seedy part is also packed with insoluble fiber, which adds bulk without the calories. More food, more full, less calories. Throw in a lot of calcium, iron, and anti-inflammatory omega-3 fatty acids and you’ve got yourself a health bomb. 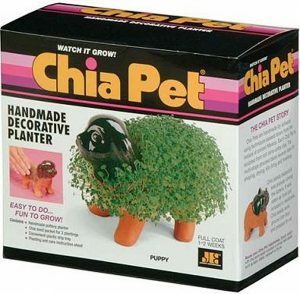 Chia seeds, more than just the starter to a furry clay pet figurine. And then we’ve got our second star, dates. These aren’t a health powerhouse like chia seeds, but they’re powerful in their ability to mimic the sweetness of sugar. 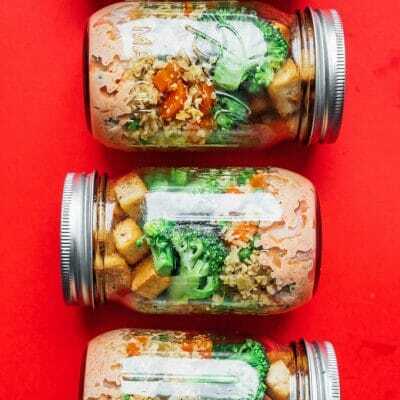 As the parfait in this recipe sits in the refrigerator to set, the sweetness of the dates is also marinating into the surrounding mixture, making for a sweet dish without refined sugar. I loved this recipe so much. Its gorgeous, it’s delicious, and it’s healthy enough that I can justify eating it for breakfast. 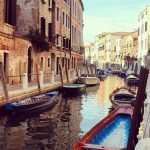 I hope you’ll like it too! 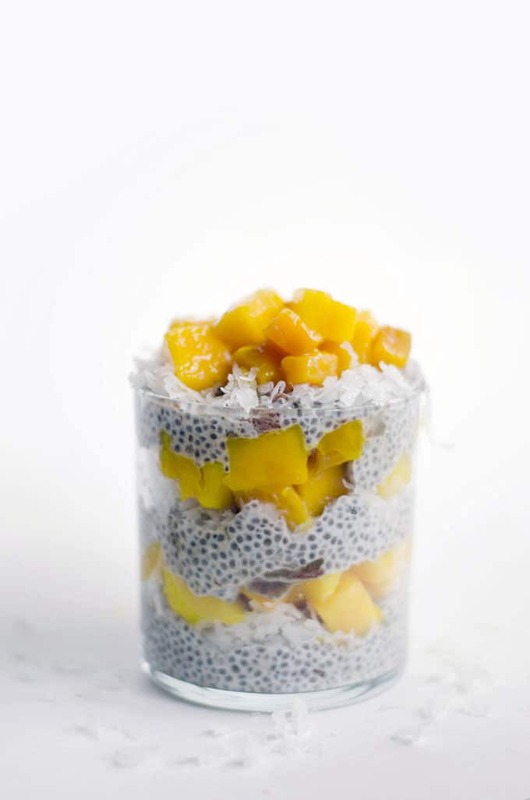 A creamy coconut-based treat thickened with chia seeds and naturally sweetened with dates and fresh mango. Combine coconut milk, chia seeds, chopped dates, and vanilla. Stir well. Cover and place in fridge for 4 hours (or overnight), stirring occasionally. 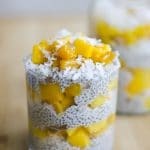 With a spoon, layer a small amount of the pudding into a small dessert dish, followed by a sprinkle of shredded coconut, then a spoonful of mangoes. Repeat this process until your dish is full! Feeling adventurous? Try this dish with another tropical fruit, like pineapple or papaya! Made this but didn’t have dates so I used dried apricots. It was not quite sweet enough so I added a touch of Stevia sweetener. Yummy! Yea, apricots are a bit drier/less sweet than dates, but I bet the apricots added a nice fruity twist!